Enfios is a company headquartered in 2007, in Cortegaça, municipality of Ovar, which was born from the extinct Cordoaria Vicente R. de Oliveira, S.A. from which it acquired part of its machinery and production know-how. 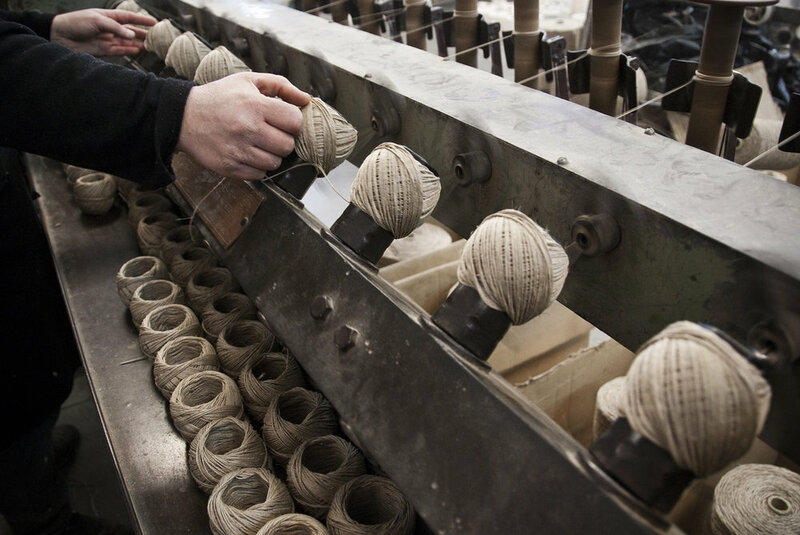 Present in the market for a relatively short period of time, Enfios has integrated its staff with many years of experience in the field of cordage, which contributes to a very efficient and high quality production, fundamental for the balance and sustainability of the business. We are specialized in the production of yarns for the meat, construction and decoration market, looking for new and perfect solutions adapted to the needs of the consumer. Always with the purpose of offering high quality products, we submit a large part of our production to rigorous laboratory tests, where we test the density and resistance of the fibers that make up the yarns and, especially in the case of yarns for the food sector, their microbiological characteristics . For us, customer service is a challenge and we are always available to answer your questions, proposals or suggestions. Recently we have created a brand - NORTHTWINE - aimed at small yarn trading, for small businesses or for the end consumer. If this is your case then feel free to place your order at www.northtwine.com.